One of the great infusions of energy in the Fort McMurray performing arts community has been Dianne Pare. I first met her at the Keyano Conservatory, where she was teaching private piano lessons. Eventually she signed on to the great ship Les Mis, and did a superb job as Assistant Music Director. Her enthusiasm is infectious, her talent, flowing over. Dianne is the Music Director of the upcoming DramaFORCE production of Disney's Aladdin Jr., running this Friday through Sunday at 2 pm in the Keyano Recital Theatre. She is having a ball working with a dedicated cast of 19 eager students. "I must say that I am gobsmacked at how much the kids have learned in two weeks," she said. "For most of them, this will be the first time they will be on a real stage, and I'm teaching them to sing BIG, be BIG, and have fun." According to Dianne, they have really responded, learning songs, movements, developing character and discovering how much fun doing musical theatre can be. "I feel like a coach before the big game," said Pare, "selling them on the 'feeling' and the internal fulfillment of expressing their individual talent, while also being part of a team." The students have responded to the music of Aladdin in a remarkable way. "Singing next to a stranger is a lot like going to the beach in an itsy bitsy teenie weenie yellow polka dot bikini," shared Dianne. "It is far more comfortable to sing out loud when nobody is around. It is no different for kids. Shy, reserved, singing quietly to themselves, they need to be brought out of their shell and discover how the whole body is invigorated with singing and movement. Now, 10 days later, they absolutely love singing the big chorus numbers together. I don't even have to coax them to smile while they sing anymore; the grins are all over their faces as they enjoy the powerful sound of their combined voices with their new friends." "Each child in our production has at least one singing solo and a dancing/movement solo, plus lines they must say by themselves," said Dianne. "They have all risen to the occasion." Musical theatre takes effort. As a parent I have observed my son expending terrific amounts of energy during the day, but being fueled by the excitement it generates. Ben should be out like a light by 9 pm on these long days of rehearsal, instead he is up singing until 10 pm, or later. "Once they finished learning the big chorus numbers in the show, all of the kids realized how much breath it takes, and most of them are breathing heavily after a two minute song. I refer to them as athletes, and they liked that. Society does not hold the same standard to an actor or musician as they do for a hockey or football player. With programs like these, hopefully we can change that stigma, enforcing the idea that all players (piano, soccer, dancer, singer, artist, chess or otherwise) are valuable no matter what they play. The important thing is just to play." 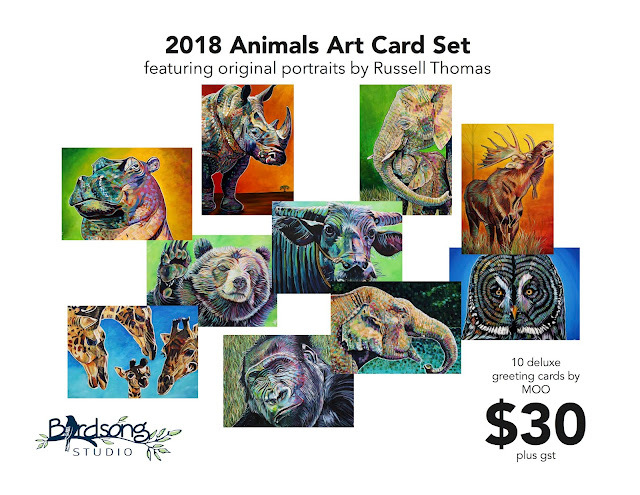 From an artistic development perspective, the experience has been phenomenal. "Aladdin Jr. took these kids to a certain level of comfort with their music and taught them to practice together, which in the long run, inspires them to practice more on their own," reflected Pare. "The older 14 year olds were so inspired to sing that they would corral the younger ones in the hallway by the loading dock to practice their singing on a break. What a joy it was to hear them light up that quiet hallway with their rendition of 'Prince Ali'." The future of DramaFORCE, Keyano Theatre's first foray into a summer actors' intensive, is very bright in Dianne's view. 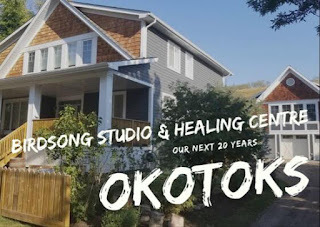 "I am so glad that Keyano opened their doors to them, because not many get a chance to even see a big stage until they are well into their twenties. Once these young people are young adults, I am confident they will change the face of Fort McMurray for all the world to see, especially in the arts. These kids will demand it. I have no doubt." "I love being the fuel to add to that fire," said Dianne. "I do love a good fire, don't you? I'll bring the marshmallows." 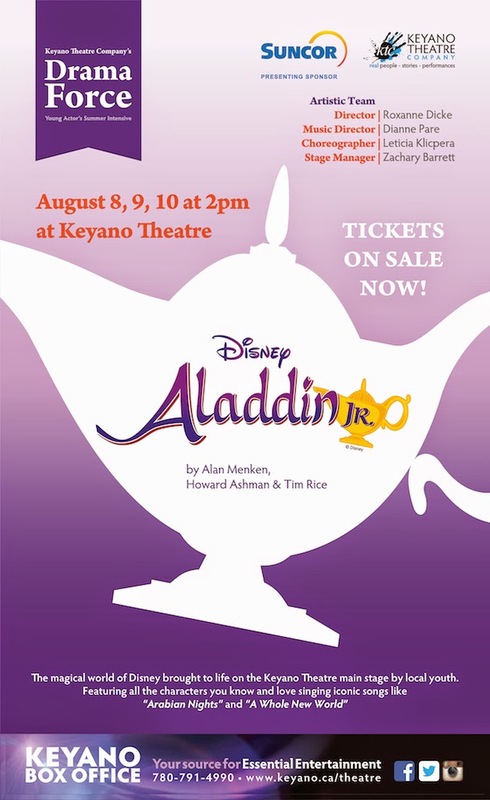 Aladdin Jr. will be performed on August 8, 9 and 10 at 2 pm in Keyano Theatre. Tickets are available for purchase through Keyano Box Office or online at www.keyano.ca/theatre.